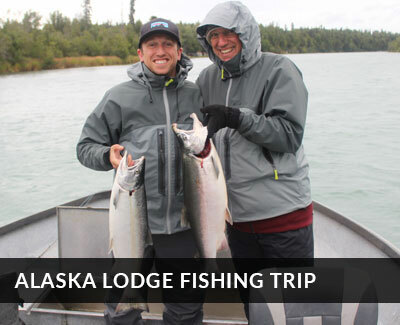 The guides of Great Alaska Adventure Lodge, targeting our surrounding rivers, consistently produce some of Alaska's most impressive Rainbow Trout and Dolly Varden catches. 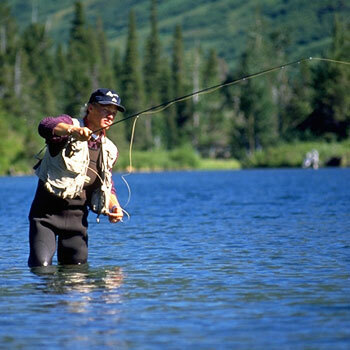 Our trout season opens in mid-June, with the best fishing in August and September. 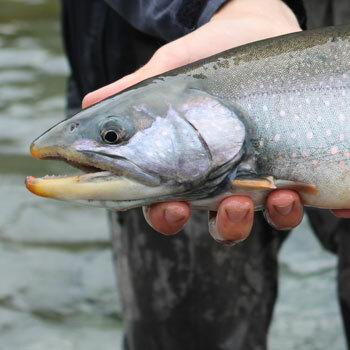 As they are a delicate resident species, we practice catch and release on all Trout species. 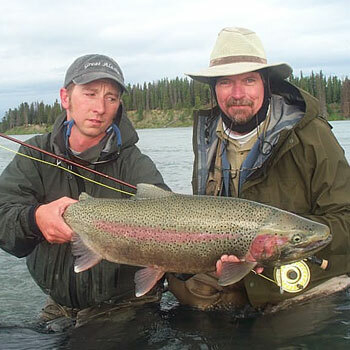 Vying with the Kings for the label of “most popular sports fish in Alaska”, the Rainbow combines with our excellent Silver salmon for great late-season angling right up until the end of September. 2-20 pounds. 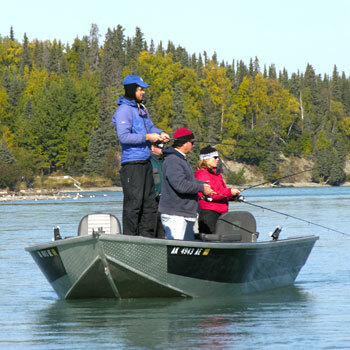 this is a great fishery that rewards experts but is very kind to beginners, so whether you love fly or spin fishing, grew up doing it or even if you wanted your first time to be in Alaska.....then this is the place to do it! 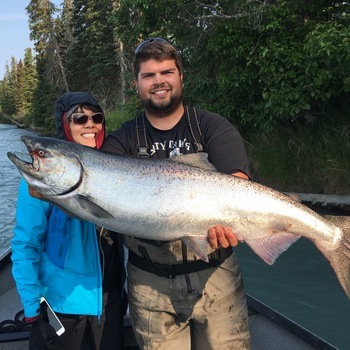 Beginning in mid June, we’ll fish over 60 miles of the amazing Kenai River to produce great variety, good numbers and Kenai River Rainbow Trout outstanding individual specimens. For many of our returning fly fishermen, the August and September time frame cannot be surpassed. 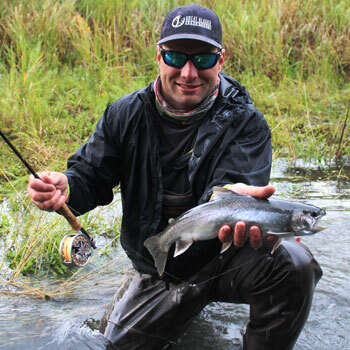 Sockeye, Silver and (on even years) Pink salmon combine with Trophy Rainbow Trout and Dolly Varden to make some truly astounding sport fishing. 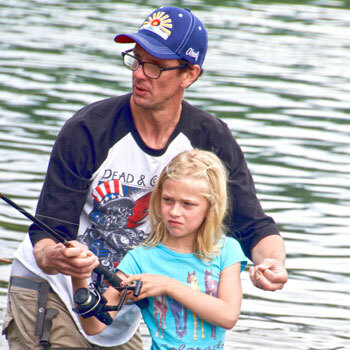 September adds our beautiful steelhead fishery for some very fine Steelhead fishing, as well. 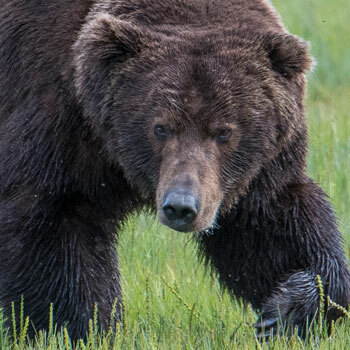 In addition to the trophy Rainbow of the Kenai, we target the 'Bows in high alpine lakes on fly-outs, small hike-in tributaries of unnamed streams and even via float tubing on the world famous Kenai National Wildlife Canoe Trail. if you love trout, come give us a try...we know you'll be glad you did! 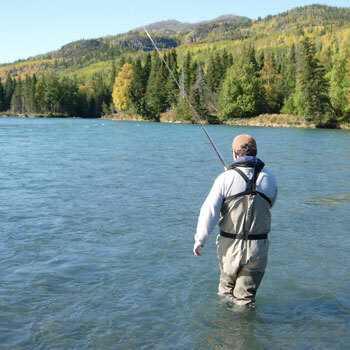 All this terrain means lots of areas for the trout to hide...and with two lakes providing literally hundreds of miles of shoreline within the Kenai River system, our home river is uniquely able to produce really outstanding, native wild trout....and these amazing trout inhabit every inch of it. Each day you may find yourself exploring a new area that just became "the hot spot" a few days earlier...and could change back just as quickly! Our guides are on these stretches of water every day, and we have been doing it for over 25 years, constantly changing colors, presentations and exploring every possible nuance that might mean the trophy on the end of your line. 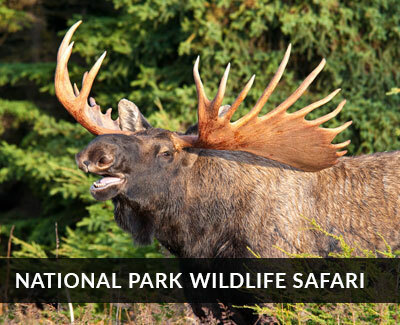 We have been licensed operators in the "limited Entry" areas of the upper Kenai Wildlife Refuge for decades as well. While fly anglers covet the big trout, spin fishermen feel the same way, and spinning rods give up nothing, targeting the largest of the trout and silver salmon as well from both our power and drift boats. 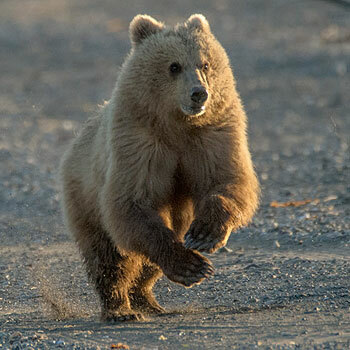 Combined with the lovely changing colors, crisp fall air and nearing end of season, August and September is one of our favorite times to be at Great Alaska Adventure Lodge!